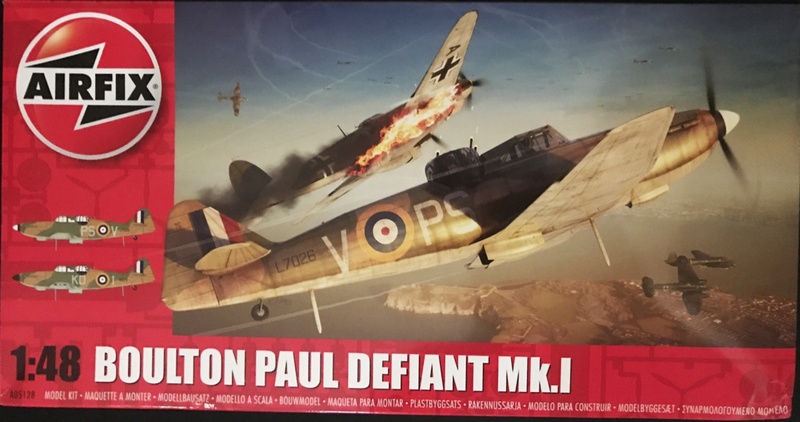 They've made four different sheets for the Defiant (this is the third) with four versions on each. 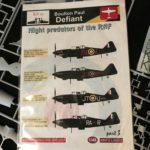 The decal sheets contains complete sets for all four planes (no shared decals) which means that they're good for four kits. 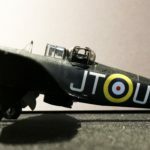 This kit is constructed with Airfix new method using 3D CAD and it shows in the details and it's accuracy. 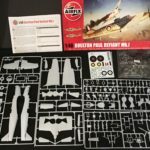 This is a very good kit (besides being the only one in scale 1/48 as far as I know). 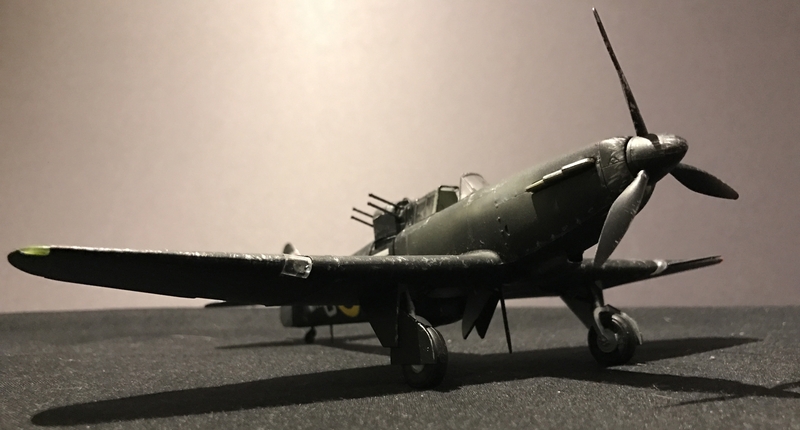 Building this kit along side Airfix new Hurricane and Spitfire really makes you understand really how much the Defiant differed from it's contemporary equals. 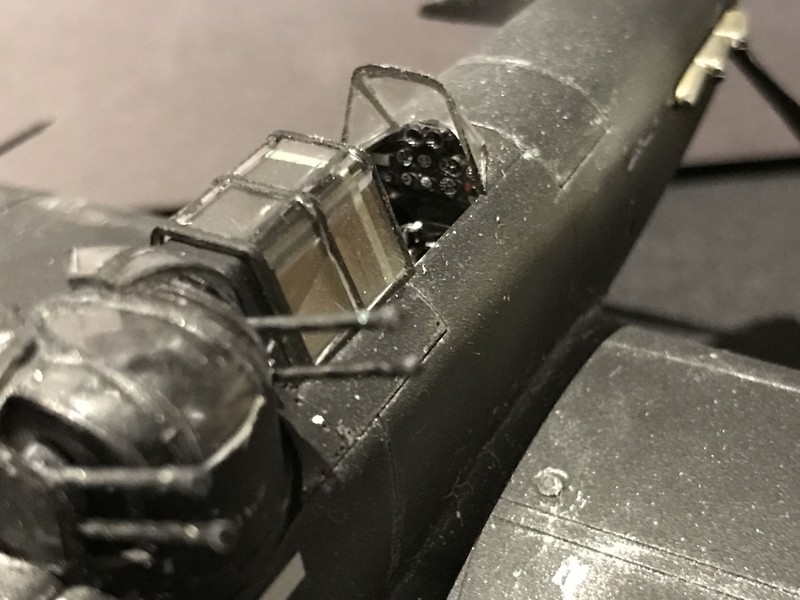 The cockpit is fairly detailed and as in the Hurricane Airfix has balanced the parts between detail and fragility. 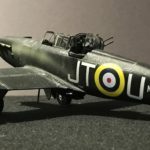 There is an instrument decal which just features the instruments and require that you paint the instrument panel black before applying it. This is a very good practice as the end result looks a lot better than if the black would be on the decal. 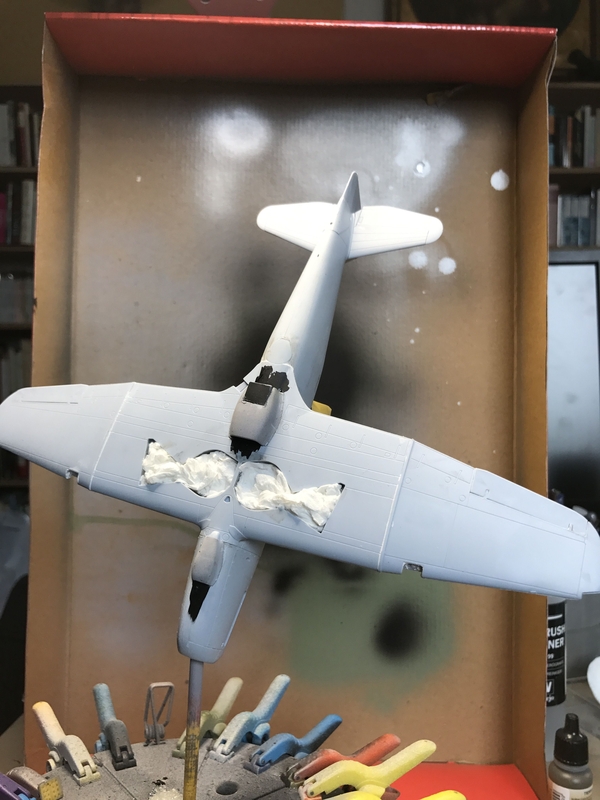 As the surface has raised details (instrument outlines) some care have to be taken when applying the decal and you need to put some Micro Sol on it to set it properly on the surface. If you do the result is good. 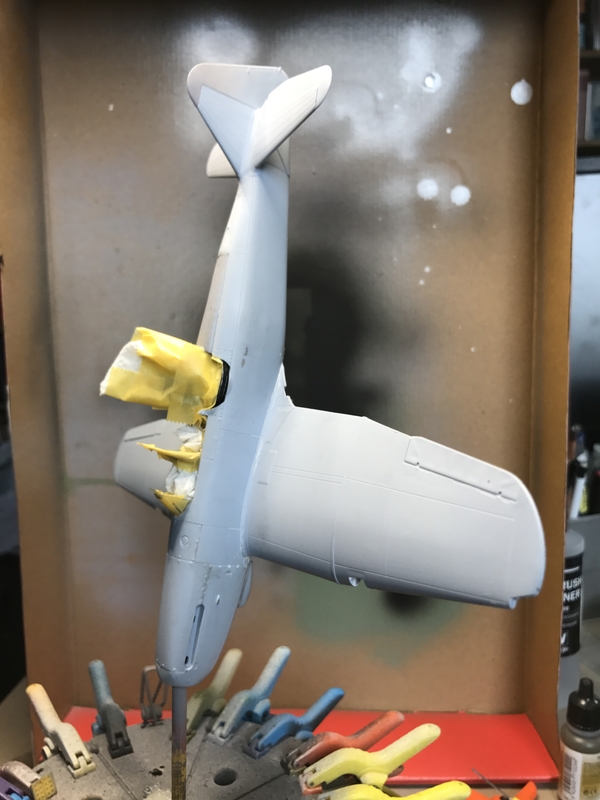 As with all Airfix later kits the parts fit together nicely.If done with care a minimal mount of filling and sanding is needed. 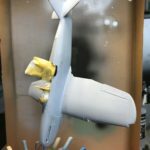 All the rudders are separate so its possible to fix them at different angles. 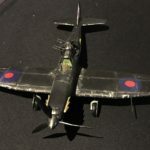 This kit also features the nifty detail that many recent releases from Airfix do, namely that the propeller is mounted at the last stages which makes painting a lot easier. Another thing I like about this kit is the wheels. The tyres are in one piece and separate from the hub which also makes painting a lot easier. 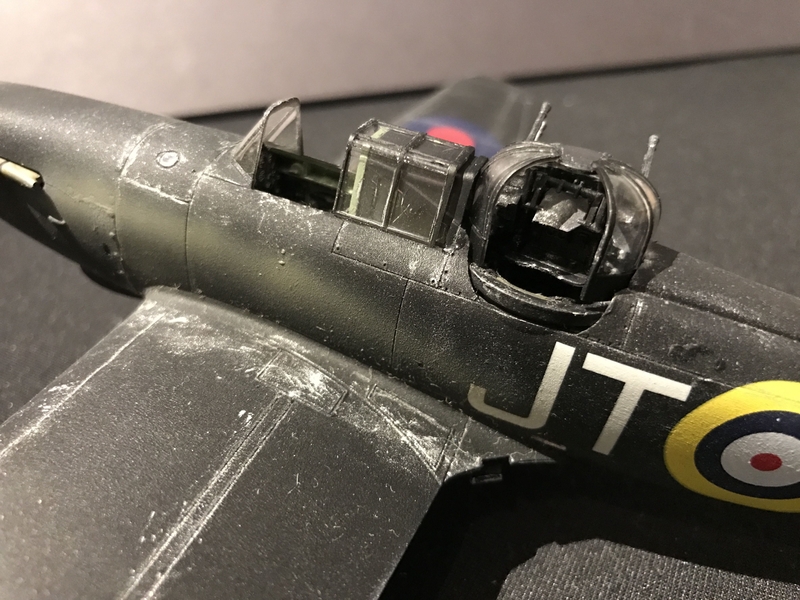 The tyres are also depicted with a flat bottom as they have when they have the weight of the plane on them adding more realism. It's a wonder how long it has taken the industry to start with this practice. Now we come to the only real issue I've had with this kit. The gun turret. 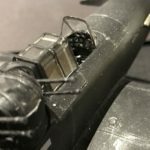 It's a 16-18 parts affair which is very good in details and enables you to mount the guns as movable parts and you can chose to build it with closed or open doors. The issue came when I tried to fit the glass canopy, it won't fit as it's too tight. 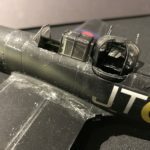 I really followed the instructions to my best ability when building the inside but the canopy don't go down properly even if you press the parts together close to braking point there's still a mm left in the joint. I finally had to do some filling. Also getting the opened doors in place is hard and is best done after you've put the turret in. Still this is a great kit. 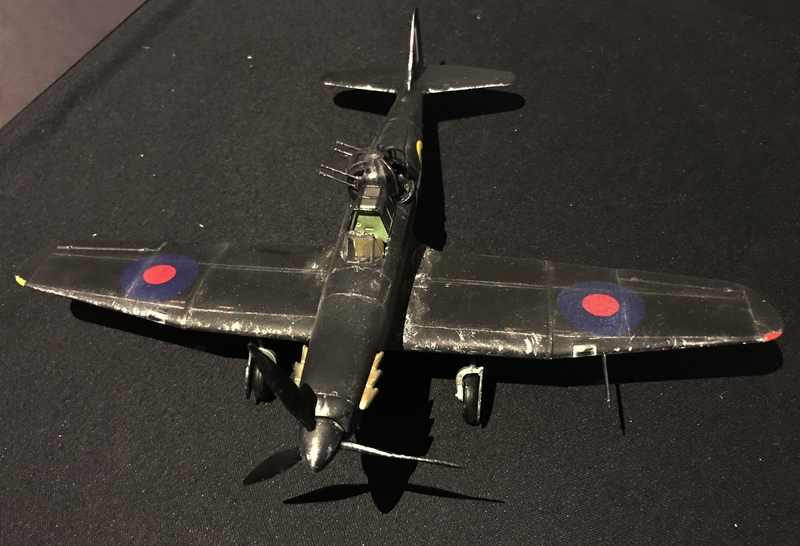 Below is my end result looks like as a night fighter with the after market decals. 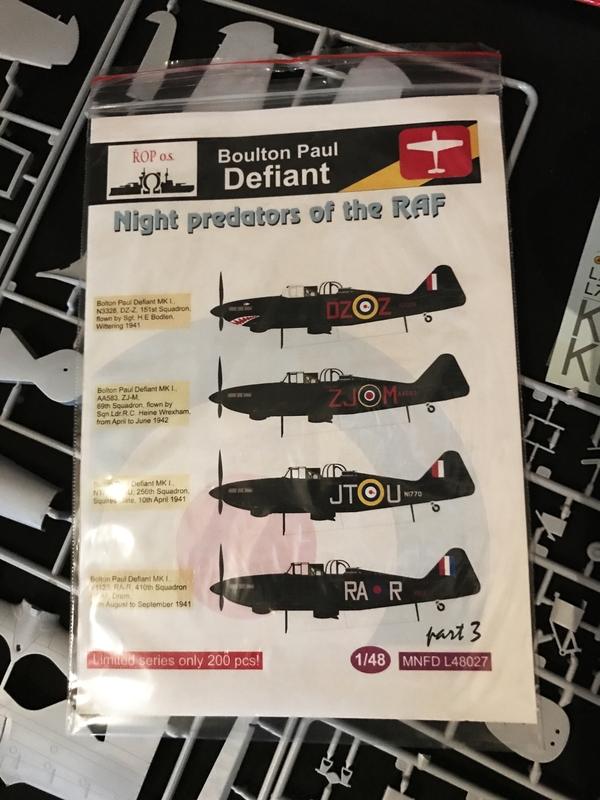 This is a very good kit apart from being the only one of the Boulton Paul Defiant in scale 1/48. 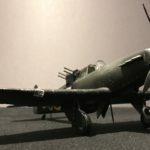 It's accurate and fairly detailed and a pleasure to build apart from the issue of fitting the canopy to the gun turret. 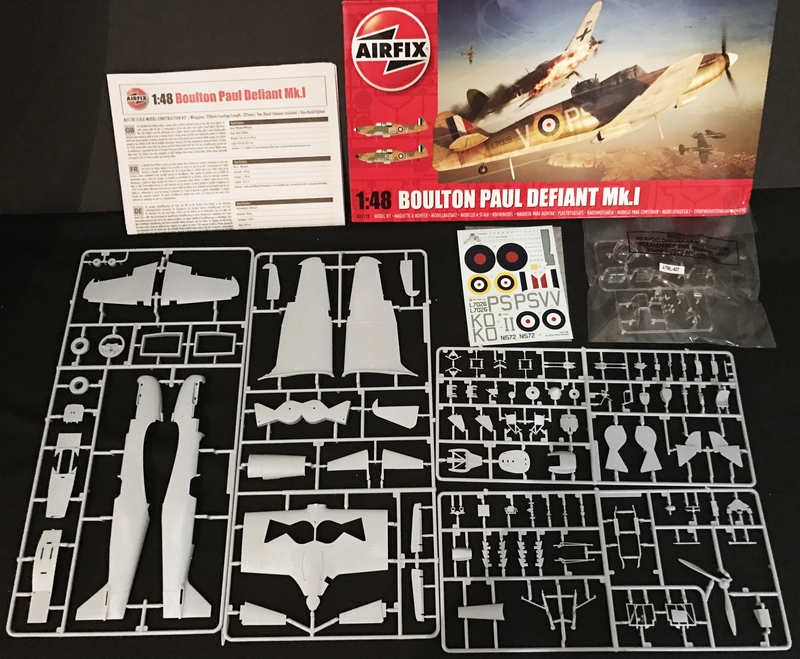 I recommend this kit and enjoyed to build a bit of an odd plane. The fit and the detailing. 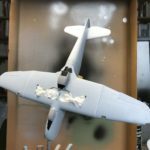 General accuracy, the after mounting of the propeller and the easily painted and realistic wheels. Fitting the gun turret canopy which is to tight.